Veteran actor turned politician Vinod Khanna was hospitalized on 31 March at the HN Reliance Foundation and Research Centre in Girgaon, Mumbai as he was suffering from severe dehydration. 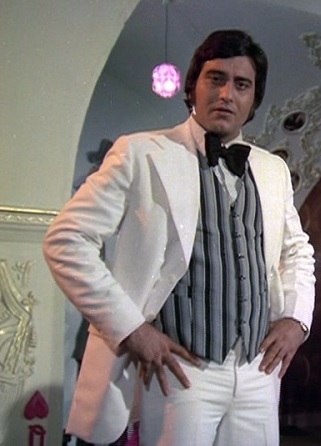 Vinod Khanna was macho he-man actor in Bollywood during 70's and 80's. A picture of the actor from the hospital has gone viral recently and the veteran star looks weak and unrecognizable. In the picture, Kavita, second wife of Vinod Khanna is seen at the right side of the actor. The 70-year old actor looks extremely weak and pale. 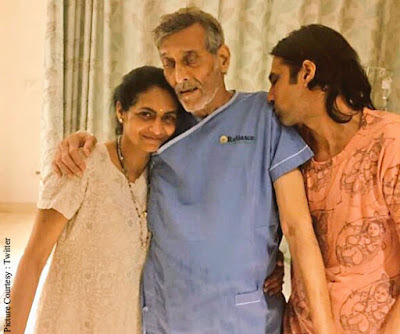 The photo has become viral in internet and soon, there were rumours that Vinod Khanna is suffering from blood cancer. However, the news is not at all confirmed. Vinod Khanna is Bharatiya Janata Party MP from Gurdaspur district of Punjab and has featured in films like Amar, Akbar, Anthony, Inkaar, Qurbani, Reshma Aur Shera among others.